Millennials are the most likely generation to not do business with a company where they have had a poor experience as a job applicant. More than half of those with a prior negative impression of the hiring organization said they would not apply again in the future. Candidates who are satisfied with their experience are twice as likely to become customers of the hiring organization compared to unsatisfied candidates (53% vs. 25%). Candidate’s time was disrespected during interviews; for example, candidate experienced long waits between interviews that all covered the same ground (46%). Process took too long (26%). Salary didn’t meet expectations (10%). 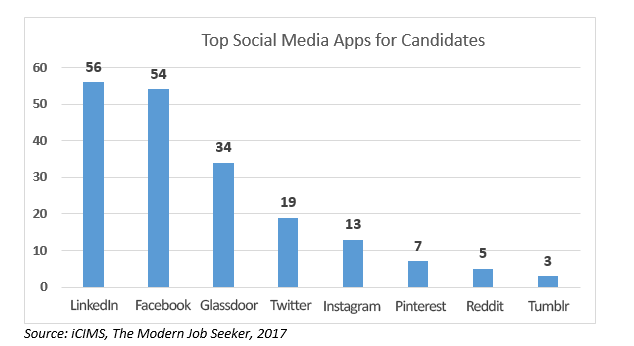 Why should you incorporate social and mobile recruitment tactics to improve your candidate experience? Vitale notes that, strategically, 99% of Millennials are visiting a company on social media when job searching. The iCIMS survey also found that 66% of working Americans, including 82% of Millennials, expect every company to have a mobile‐friendly career site and job application process. Furthermore, 83% of Millennials have searched for a new job while on the clock. 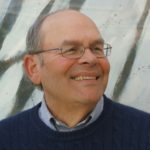 Vitale notes that Google for Jobs can help you connect with the right candidates. A 2015 CareerBuilder survey found that a whopping 73% of candidates start their job search in Google. The way employers and candidates communicate has changed, Vitale says, and social and mobile‐friendly career sites are no longer enough. The Class of 2018 wants convenient communication options. Text messaging is becoming the preferred method to communicate with not only your friends, family, and colleagues, but also with your job candidates. 90% of people read a text message within the first 3 minutes of receiving it. 41% of college seniors said they have missed a potential job opportunity because they weren’t able to connect with a recruiter or hiring manager due to a missed call or an e-mail going to spam. Our number one source of hire is employee referrals. 26% of my new hires come from employee referrals. Referrals stay longer and best fit the company culture. Trilogy offers employees who refer candidates additional income through bonus and award programs. 87% of Millennials aspire to be an executive or C‐level employee at some point in their careers. Millennials with mentors are 2 times as likely to stay with a company more than 5 years. 63% of Millennials believe their leadership skills are not being fully developed. Meanwhile, 7% of company and HR leaders state that their companies have accelerated leadership programs for Millennials. Onboarding is an important step in recruitment. Set new hires up for success and you will increase retention, Vitale says. Create individualized new hire tasks and provide access to resources to ensure new hires have a clear sense of how to excel in their positions. 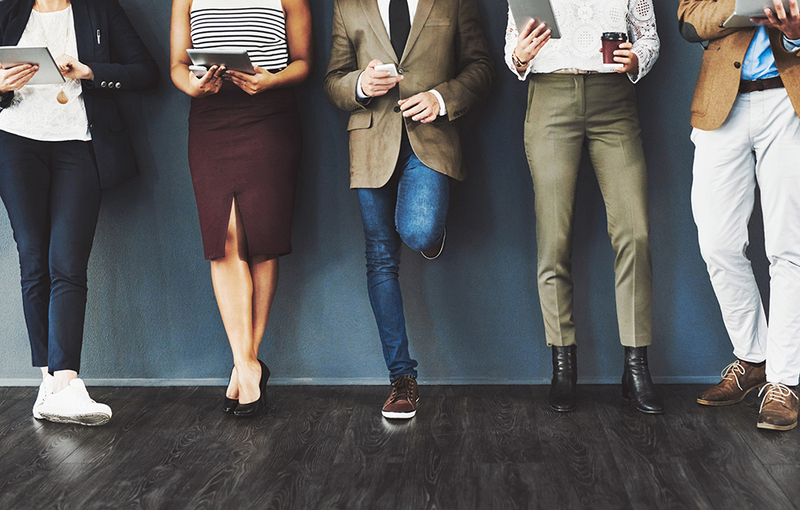 Make a business case for investing in training and development programs—63% of Millennials believe their leadership skills are not being fully developed. 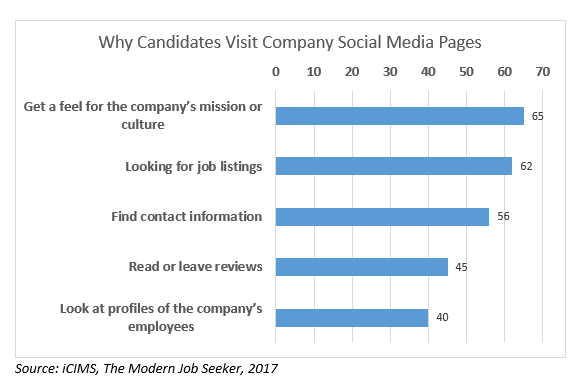 Moderate your social profiles—99% of Millennials are visiting a company’s social media when job searching. Prioritize your candidate experience—people who are satisfied with their candidate experiences are 38% more likely to accept a job offer. Boost employee referrals—one in five workers is unsatisfied with the company’s current employee referral program. Implement a formal referral reward program and make it easy for employees to share open positions.